SOLIDWORKS PDM Professional includes a Microsoft Office SOLIDWORKS PDM Add-In, which provides access to PDM tools within Microsoft Word, Excel, and PowerPoint documents. Using the ribbon, you can perform PDM vault commands and view file information when a file is open in Microsoft Office applications. All SOLIDWORKS PDM license types can be used with the integration. However, you much have a Contributor or CAD Editor license to check files out and in. 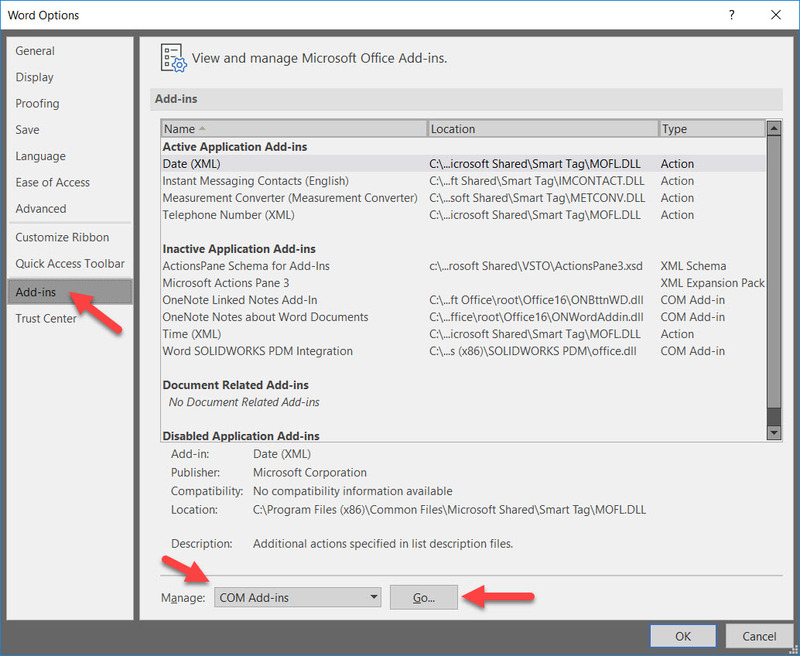 The Office add-in (Microsoft Office Integration) option is selected during the client installation if Office is detected on the system. 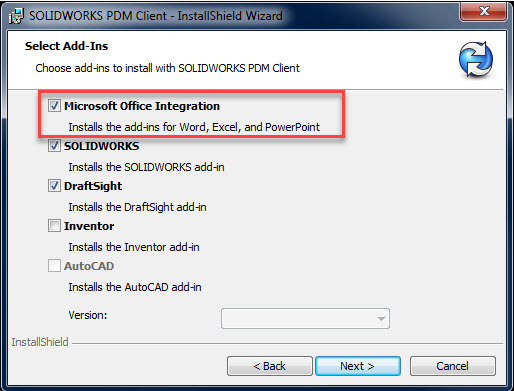 The SOLIDWORKS PDM ribbon is automatically added to the Microsoft Word, Excel, and PowerPoint documents when the Office Integration Add-ins is installed.